Home / News / Stepan Teterin: "Be good people"
The war was a difficult time for teenagers. It does not matter where they could have been at that time: under occupation or far away from the front, like our hero Stepan Teterin. Starting to work at the age of 13, he had been working for more than 60 years. "In 1941, in May, children were sent to pioneer camps. I finished the 2nd grade, and my mother sent me to the camp on Lake Iset. We were already resting, when on June 22 Kiev was bombed and we were told that the war had begun. We learned about this after lunch at the camp line-up. The camp session was not over yet, but we were taken back to Sverdlovsk, where parents were already waiting for us, " Stepan Teterin recalls. Together with his peers, until 1944, Stepan went to hospitals deployed in the student dormitories in Komsomolskaya Street: they helped the nurses to take care of the wounded, wrote letters to their relatives and friends, fed badly wounded, and washed dishes. In the large family of the Teterins there were nine children: eight brothers and a sister. From 1941 to 1943, five brothers left for the front, the three remaining were teenagers. The eldest of them, Arkady, in 1942 turned 14 years old, and he got a job in the workshops of the Ural branch of the Academy of Sciences of USSR , where he worked until he retired in 2001. By the beginning of 1944, the Teterins received four “killed- in- battle” notices and, of course, this greatly affected the mother’s health , so in May, Stepan also had to go to work. "We were faint with cold and hunger," he explains the reasons why he left school. His mother also worked at UrB of the Academy and she entreated the head of the experimental workshops to employ him to work. So, after graduation from grade 5, Stepan began working on a planing-machine. Within a short time, in accordance with the requirements of war time, Stepan mastered other machines: milling, turning ­ grinding, and drilling ones. Besides, Stepan became accustomed to blacksmithing. And then came the Victory Day. All exulted, laughed and cried. They rejoiced at the end of the war, but were sad that many relatives and close people who had fallen on the fields of battle would never return. Of the five Teterin brothers who fought, only one returned, wounded and contused. After the war, Stepan Teterin continued working for several years at the Academy until the military conscription. He believes that he passed an excellent school working in the team of the workshops, professional, technical, and moral. He remembers everybody with whom he had interacted in course of work. In 1951-1954, he served in the engineering and sapper troops of the Ural Military District. In 1952, after the end of the regimental school, he was appointed a platoon commander of the field engineer company. "That's when I got a chance to smell the powder of war," he recalls. - The order came from Moscow. It was necessary to clear the old artillery range from old shells. The range was fenced with barbed wire, it was almost unguarded and overgrown with grass. The field has already killed 11 boys who found shells there. There were no two mowers, who were sent to mow the grass on the landfill. Locals demanded to neutralize the range. " By order of the military authorities, a platoon of artillery firefighters was sent to the range, who found shells and determined whether each of them was a live or a blank one. They put red flags near live shells and green ones near blank shells. Based on this, the sappers undermined them. It was then that soldiers-conscripts got the smell of gunpowder, heard and felt the roar of explosions and the whistling of splinters overhead. After demobilization, Stepan Alekseevich worked at the Sverdlovsk bread-baking plant, at "Vostokometallurgmontazh" , and at SKB "Uralmetallurgavtomatika". After the retirement in 1991, he worked for the Government of the Sverdlovsk region as an inspector of engineering and fire safety. From 1996 to 2006 he was a laboratory assistant of the Department of Physical Education and Sports of Ural State University of Economics . For his work during the Great Patriotic War, Stepan Teterin was awarded the Medal “For Valiant Labour in the Great Patriotic War 1941–1945" and jubilee medals, has the status of a worker of the home front and a veteran of labor. 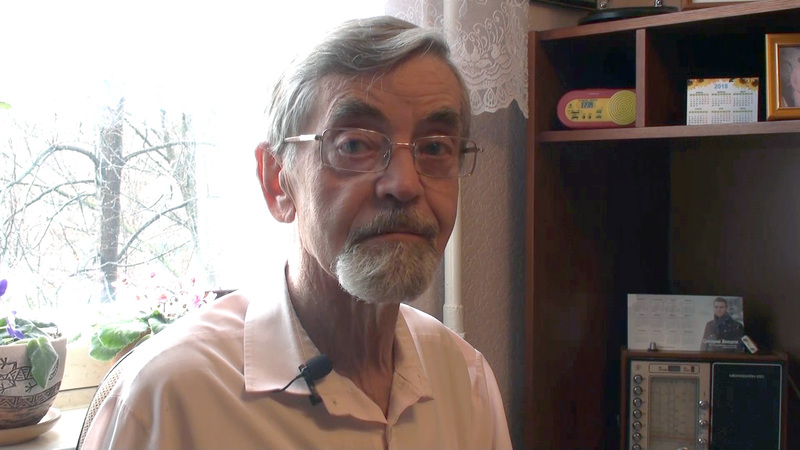 Stepan Alexeyevich often met with youth, and spoke about his working military childhood. recent years, schoolchildren and students have visited the veteran on May holidays, congratulate him on Victory Day, listen to his memories of the Great Patriotic War. Stepan Teterin, in turn, wishes the younger generation to honor the memory of those who had fallen during the war, to study, to be good specialists, good people and parents. The same wishes the veteran addressed to all the staff of the University.